“Mapping the Buddha’s Teaching in Early Gandhāra: The Saṃgītisūtra Commentary”. Dr. Stefan Baums (Institut für Indologie und Tibetologie, Ludwig‐Maximilians‐Universität München). “Producing Buddhist Manuscripts (and Textual Alterations) in Medieval China: Reflections on Scriptural Transmission and Textual Corruption Processes, with a Focus on Dunhuang Materials”. Prof. Costantino Moretti (École française d’Extrême-Orient). A talk given by Dr. Alex Wynne for the OCBS on 20th November 2017. A pdf to accompany the talk is provided below. All original material copyright Alex Wynne 2017. A talk given by Nawang Jinpa for the OCBS on 18 January 2016. The author reviews the articles in the Special Section on Mindfulness, starting from the assumption that emotions evolved as signaling systems that need to be sensitive to environmental contingencies. Failure to switch off emotion is due to the activation of mental representations of present, past, and future that are created independently of external contingencies. Mindfulness training can be seen as one way to teach people to discriminate such “simulations” from objects and contingencies as they actually are. The articles in this Special Section show how even brief laboratory training can have effects on processing affective stimuli; that long-term meditation practitioners show distinct reactions to pain; that longer meditation training is associated with differences in brain structure; that 8 weeks’ mindfulness practice brings about changes in the way emotion is processed showing that participants can learn to uncouple the sensory, directly experienced self from the “narrative” self; that mindfulness training can affect working memory capacity, and enhance the ability of participants to talk about past crises in a way that enables them to remain specific and yet not be overwhelmed. The implications of these findings for understanding emotion and for further research is discussed. A lecture given by Professor Richard Gombrich for the OCBS on 11 May 2015. 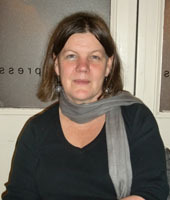 Sarah Shaw studied Greek and English at Manchester University, where she obtained a doctorate in English Literature. She studied Pali at Oxford and has written books and articles on Buddhist themes. She is a member of Wolfson College and the Oriental Institute.